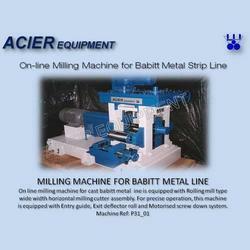 On line milling machine for cast Babbitt metal line is equipped with Rolling mill type wide width horizontal milling cutter assembly. 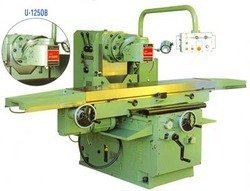 For precise operation, this machine is equipped with Entry guide, Exit deflector roll and Motorised screw down system. We cater to the demands of the engineering sector with our quality range of Milling Machines. A typical machine tool, this is used for soughing and finishing operation within the range of boring, drilling, facing & milling.